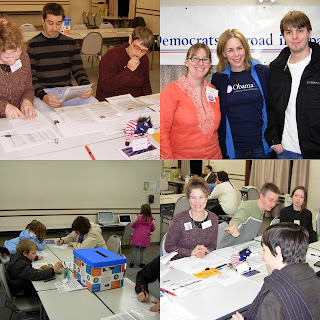 At the risk of over posting about our Democrats Abroad 51st State Global Primary... Just one more update post-super-Tuesday. The photo below is from the voting center I helped run in Tokyo, and the link goes to a great little world wide primary photo gallery from the LA times. Thank you for your indulgence for my little bragging time. A quick look around the world. An NPR story. And here on NBC nightly news.